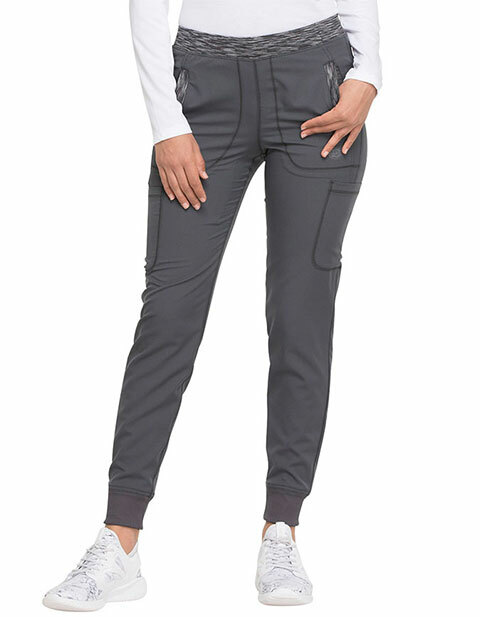 This refined, sporty jogger would make a stylish and functional addition to your workwear repertoire. It has numerous pockets for all your storage needs, including two patch pockets at the front waist, two cargo pockets, and two patch pockets at the back. Additional design details include a distinctive mélange knit waistband with an inside drawstring, and rib knit cuffs. Contemporary fit. Inseam length: 28.5 inches.